140 pages, acid-free, fine-grain paper. 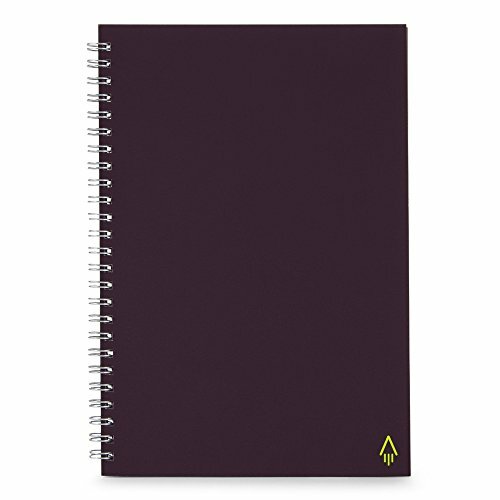 This single use note pad offers the same smart functionality as other Rocketbook products without being reusable. Dot grid pattern on each page - similar to Squared. The book is perfect for students at school, university or for everyday use in the office. Works with any pen, pencil or other writing/drawing implement. Cloud-connected Notebooks. Blast your notes to Google Drive, Dropbox, Evernote, Box, OneNote, Slack, iCloud and email, just download the iOS or Android app. If you have any questions about this product by Rocketbook, contact us by completing and submitting the form below. If you are looking for a specif part number, please include it with your message.